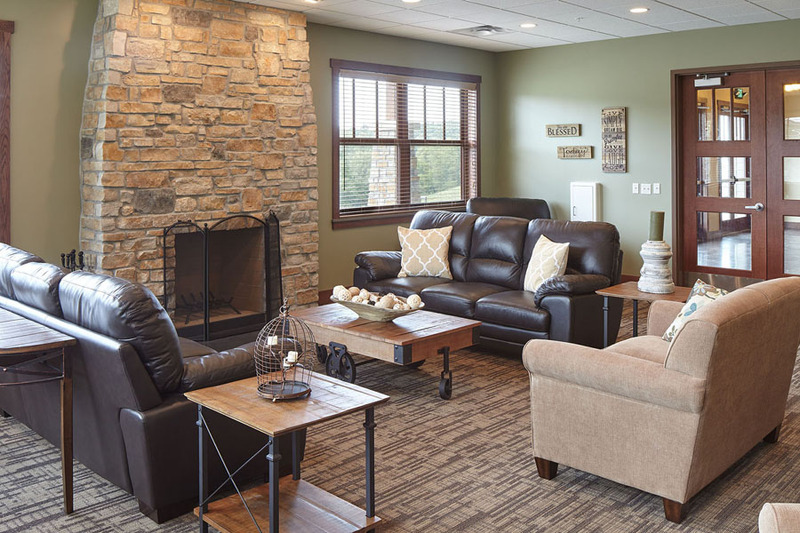 The Shelterwood Academy, in eastern Jackson County, Missouri, is a Christian Therapeutic Boarding School for at-risk teens. The word “Shelterwood” describes a forestry technique in which older, stronger trees shelter and protect younger trees on the forest floor until they stand, grow and thrive on their own. In the same way, Shelterwood offers struggling teens a safe, loving place to heal and flourish. 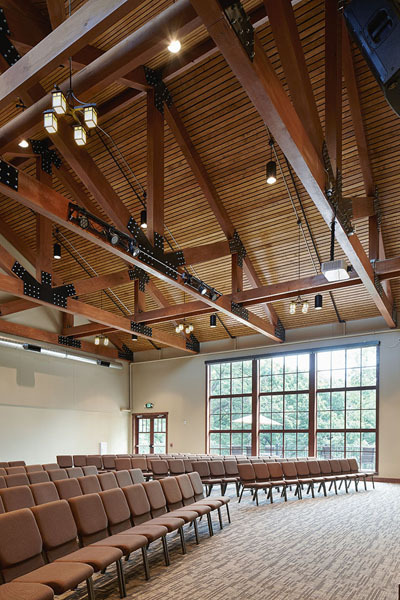 We developed plans for the 11,000 GSF Chapel and Meeting Hall Building which includes a 300-seat chapel space, two 25-person meeting rooms, a 16-seat board room, a 30-person counselor’s lounge, and admissions and administration offices. 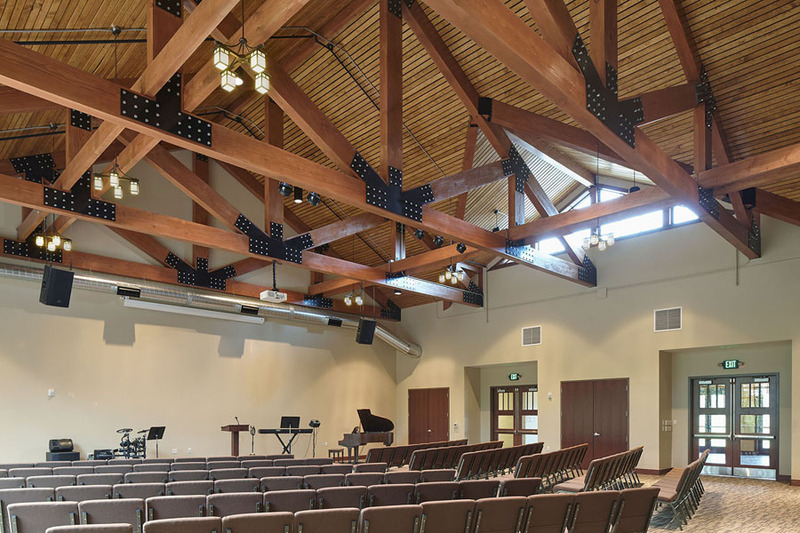 Natural cedar timber trusses up to 18” deep were used for the roof structure of the entry hall and chapel spaces, with stained wood slats covering the ceiling giving the appearance of wood decking, while providing acoustical value. 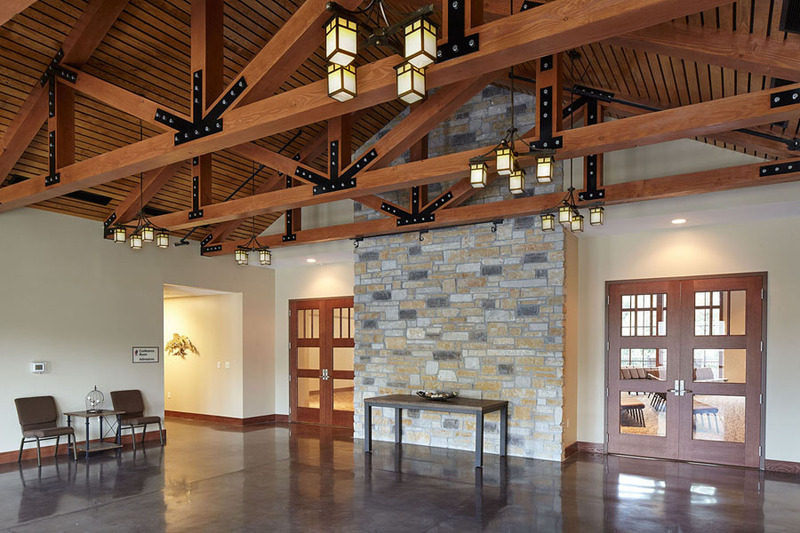 Large stone-clad, wood-burning fireplaces situated in the two meeting rooms flank the timber trussed entrance on the front façade, while the central timber trussed gable welcomes guests into the entry hall and leads them to the larger, dramatic chapel gathering space beyond. The school is located in a deeply wooded acreage in eastern Jackson County. 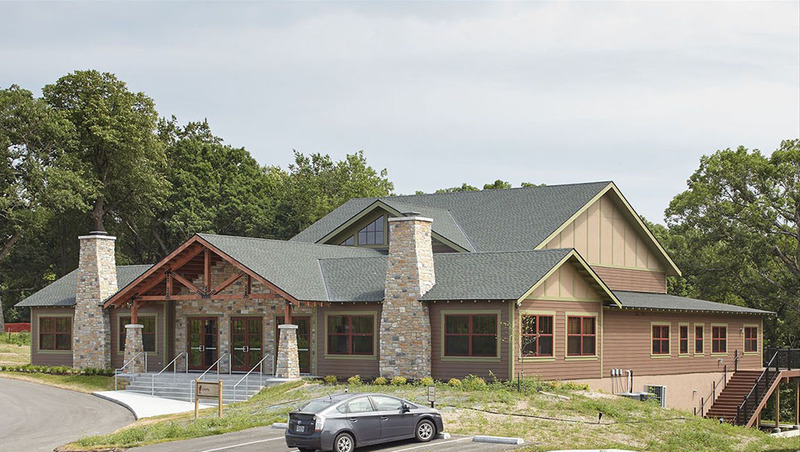 Thus, the design of the both the lodge and meeting hall drew inspiration from early Park Service and wilderness camp architecture - with simple massing and gabled roof shapes, horizontal lap siding, traditional windows and trim, field stone accents, and an early 1900’s Craftsman feel that hearkens back to the early development of the Missouri State and National Park systems. This has been carried into the interior walls and trim details, while, at the same time, using colors which are calming and comforting and materials that are durable.